By focusing on African Americans’ encounter with legal ideas, practices, and institutions from the Civil War to the Civil Rights Movement, this lecture rethinks the role of law in African American life and black people’s contributions to American law. Black people’s litigation over churches helped shape the law of religion in the United States, spurring vibrant debates about authority, the meaning of rights in a religious body, and the relationship between secular and religious laws. By the 1950s, black churches became the public face of a movement for freedom and equality, helping to set the terms of the Civil Rights Movement. Connecting African American religious history with African American legal history changes the way we see both, and points to a new perspective on civil rights. ‌Dylan C. Penningroth is Professor of History and Law at the University of California, Berkeley and Affiliated Research Professor at the American Bar Foundation. He works on African American and legal history, with special interests in the history of slavery and emancipation, and the socio-legal history of civil rights. His scholarship has earned him numerous honors, including fellowships from the MacArthur Foundation, the National Endowment for the Humanities, the Stanford Humanities Center, and awards from the National Science Foundation and the Allan Nevins Prize from the Society of American Historians. 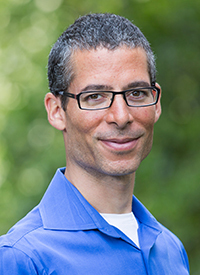 Professor Penningroth’s book, The Claims of Kinfolk: African American Property and Community in the Nineteenth-Century South (UNC, 2003), was awarded the Avery O. Craven Award by the Organization of American Historians. He is currently working on a study of African Americans’ encounter with law from the Civil War to the Civil Rights Movement. Combining legal and social history, it explores the practical meaning of legal rights for black life.